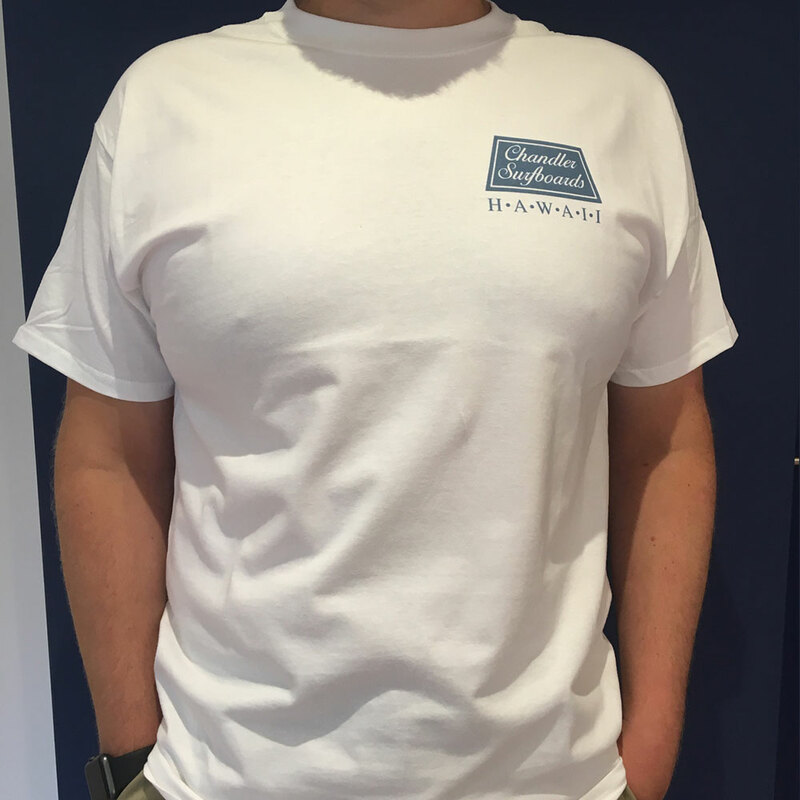 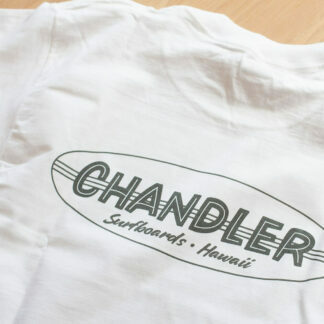 Chandler Surfboards Classic White T-shirt. 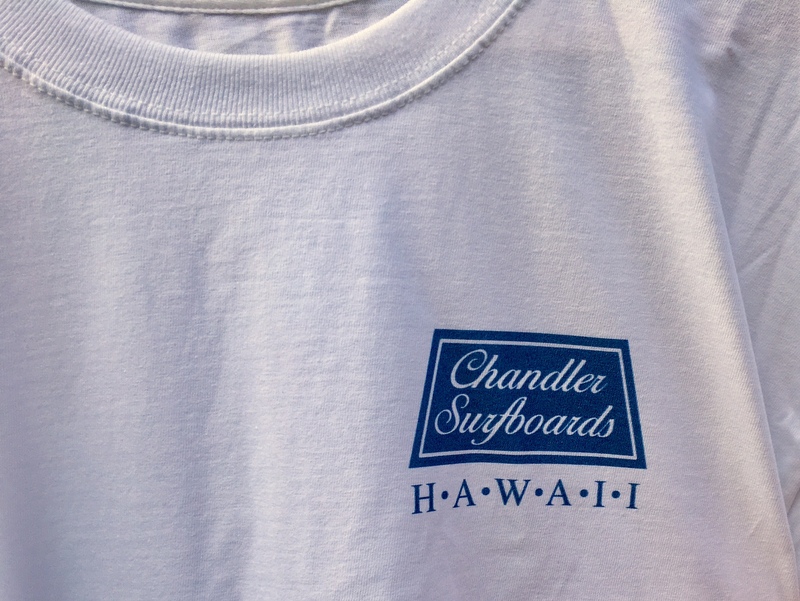 This shirt features the final Chandler Surfboards logo that Rick Kane created printed on the back. 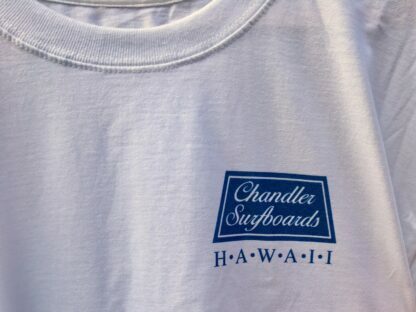 It also features a secondary logo on the front left chest area. 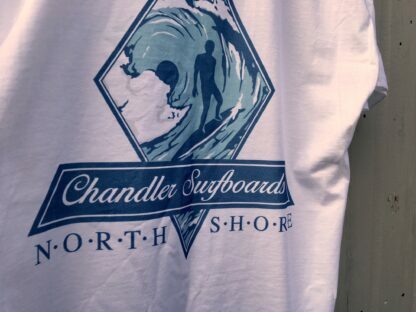 As worn by Rick Kane (Matt Alder) in North Shore the Movie. The logo was meticulously re-drawn by freezing our 1988 VHS tape. 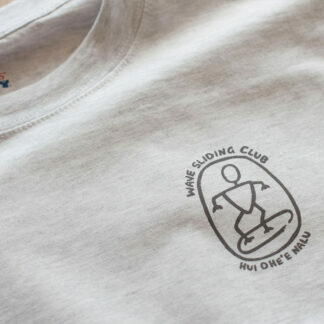 We believe it’s the most accurate version of the logo available to buy online. Available in Medium, Large, XL and 2XL sizes. Amazing quality – love it, I’ve wanted one of these my whole life!! 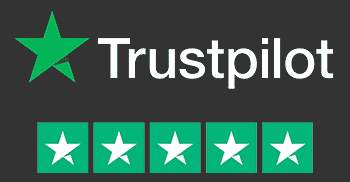 Thanks so much for the site too. Best t-shirt EVER! 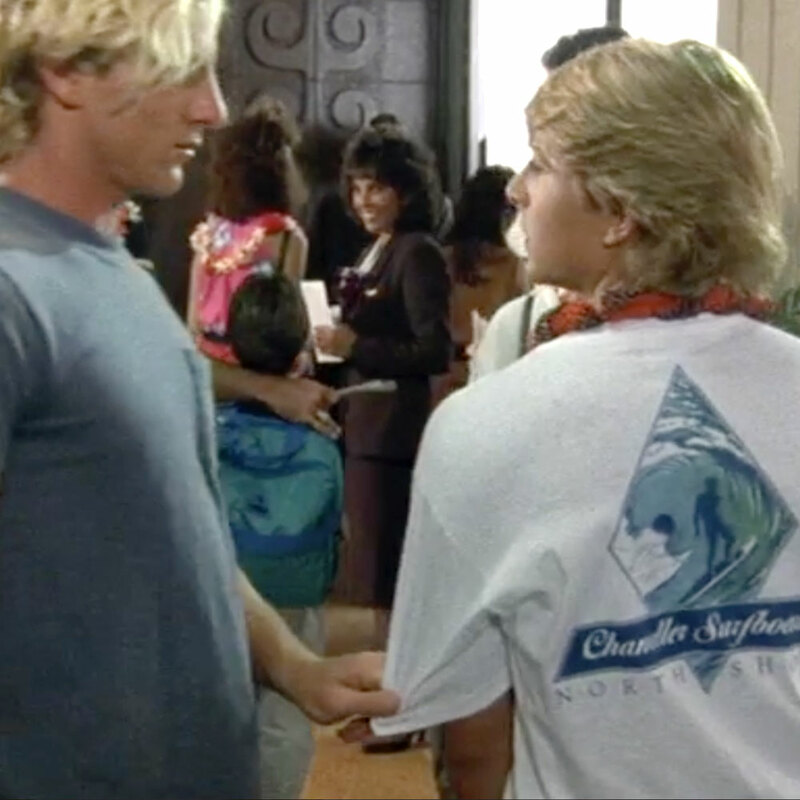 It’s about time some one did justice to possibly the greatest film ever. 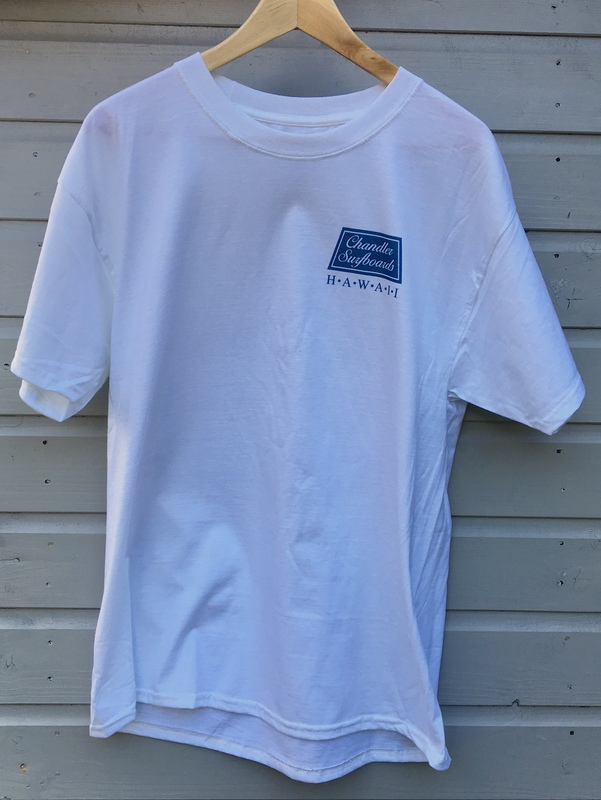 The quality of this t-shirt is first class and the design is spot-on. 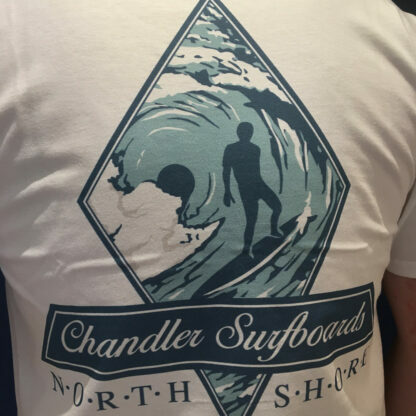 I’ve never seen a copy of the North Shore t-shirt online that’s even come close to this one and an inferior one I picked up years ago, I’m now embarrassed to wear after getting this one. 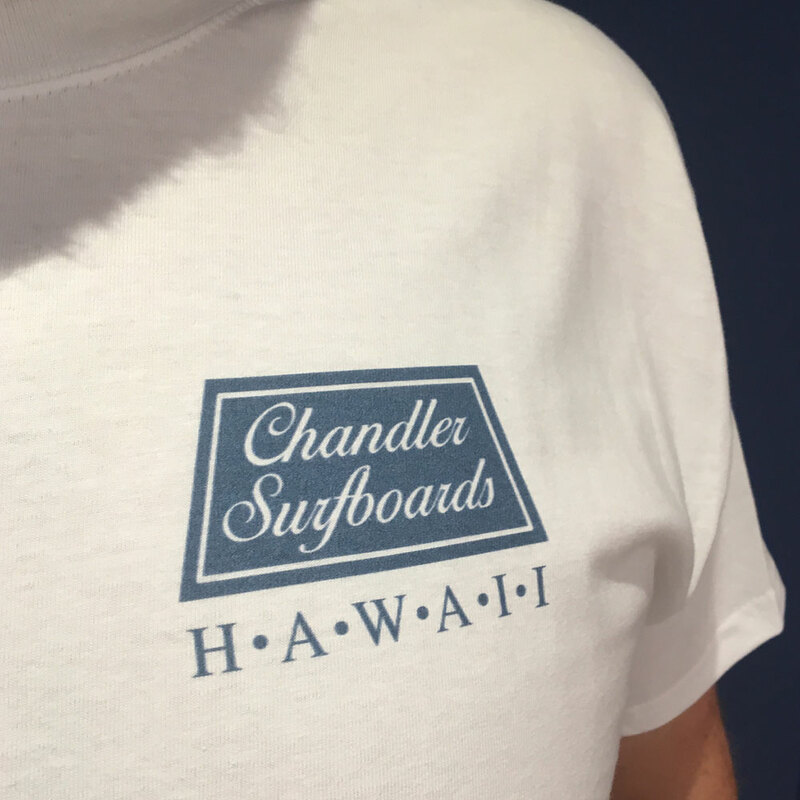 With the proceeds going to Surfers Against Sewage it’s a win-win situation!